After the success of High-Level Principles on Fiscal Transparency, endorsed by the United Nations General Assembly, GIFT embarked on a substantial multi-year program to launch a new set of principles. 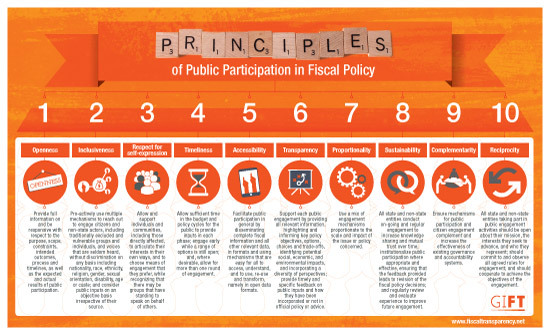 That process concluded earlier this year and the results are here: Meet the new Principles of Public Participation in Fiscal Policy! However, guidance on how public entities should engage directly with the public in managing public resources (Principle 10) is very limited. For that reason it is a priority for GIFT to generate greater knowledge about country practices and recent innovations in citizen engagement. After an extensive public consultation process that concluded last year, the new principles on public participation are a first step in that direction and will be soon followed by an online, interactive guide on mechanisms to operationalize the principles. The guide will showcase real cases of mechanisms applied in different countries, as examples that could serve as a guide and source of inspiration for policy-makers interested in incorporating public participation in decision-making processes. “In many countries, ministries of finance have been disseminating information and engaging the public to make sure that funds reach the communities targeted in development policies and better service delivery. When combined with institutional checks and accountability, public participation help the set the conditions for sound and effective public finance management systems” said Juan Pablo Guerrero, network director. GIFT’s website now has a section dedicated to principles. There you can find the two sets of principles, including translations to different languages, and download illustrated versions. The International Anti-Corruption Summit hosted by the United Kingdom May 12 provided an important moment for GIFT High-level principles and fiscal transparency in general, as the Summit Final Communiqué recognized the importance of fiscal transparency as a key factor in the fight against corruption. 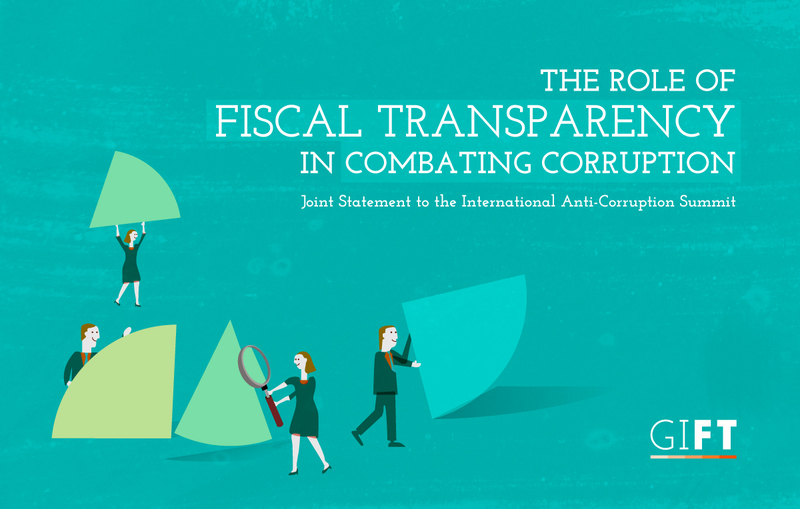 More importantly, it strongly encouraged countries to work to strengthen their fiscal transparency. 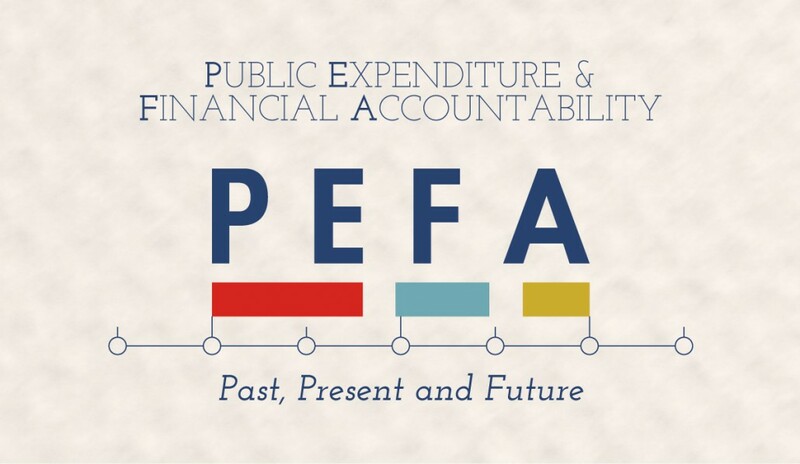 Some of the budget offices - which are GIFT stewards - welcomed the acknowledgement that fiscal transparency help reduce opportunities to misuse public money and increases the likelihood that those who do so are held to account. While this is not the only factor needed to tackle corruption, it is absolutely a necessary condition. It incorporates some of the biggest sources of corruption in the public sector, including public procurement, tax administration, and the selection and location of major public infrastructure projects. As host of the Fiscal Openness Working Group of the Open Government Partnership (OGP), GIFT recently hosted two successful workshops. The first one took place in Mexico City the first week of April, organized in partnership with the Under-Secretariat of Expenditures of Mexico’s Ministry of Finance and Public Credit, a GIFT steward. 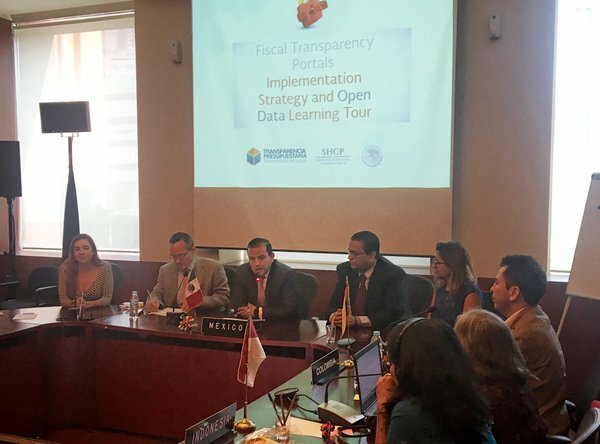 It was focused on fiscal transparency portals and brought together public officials in charge of implementing fiscal transparency policies, information technologies and open data in nine countries. Representatives of the ministries of finance from Colombia, Indonesia, Morocco, Paraguay, Peru, South Africa, Tunisia and Uruguay engaged in breakout group discussions about fiscal transparency improvements through intensive use of information technologies. Civil society experts in these issues from six countries also participated. 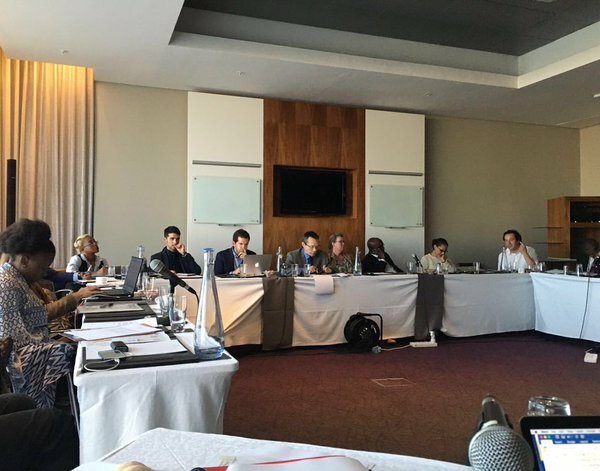 The second workshop took place in Cape Town the first week of May, in the context of the OGP African Regional Meeting. High-level representatives of the ministries of finance of South Africa (GIFT steward), Kenya, Liberia and Egypt shared their experiences, challenges and lessons learned on fiscal transparency, whether in the framework of the OGP or in general. Civil society from Cameroon, South Africa and Ghana, and other key actors in the field, from the Collaborative Africa Budget Reform Initiative (CABRI) to the World Bank, were also part of the dialogue. The encounter was a good opportunity for GIFT to explore ways to support efforts in these countries, from assisting them as they draft their national action plan (for those OGP who are members) to future opportunities for collaboration and peer-learning. At the end of the workshop, it was discussed that GIFT will engage Liberia, Ghana and Egypt in open data, public participation and other areas of their interest. Additionally, GIFT proposed a workshop about public participation for MENA countries for the second semester of 2016, in coordination with Egypt, Tunisia and Morocco. The World Bank’s Spring Meetings were the setting of a high-level dialogue on fiscal transparency between ministers of finance of six countries and emerging market investors, organized by IBP, the Philippines Department of Finance and the Department of Budget and Management, the U.S. Department of the Treasury, the Emerging Markets Investors Alliance, and the International Monetary Fund (all GIFT stewards). The event successfully brought together ministers of finance from the Philippines, Serbia, Paraguay, Angola, Egypt, and Ghana and a group of investors to discuss how countries can improve their access to international financial markets. The discussion was very useful and allowed participants to better understand the information and data that investors and other users seek on national budgets and finances. A number of possible next steps were discussed in the meeting, including how participants could join GIFT, which could use existing diagnostics from the IMF and IBP to tailor individual country recommendations for improving fiscal transparency and provide a peer engagement forum and technical assistance on improving transparency. Other possible steps could involve organizing a follow up event to focus on specific fiscal transparency topics of interest to investors and governments (such as reporting of contingent liabilities and disclosure of assumptions used by governments to project revenues) or commissioning new research to assess the impact of fiscal transparency on credit ratings. What Steps to Increase Fiscal Transparency and Participation Should OGP Countries Take?